One of the things we were keen to do this year in setting up an in-house research centre at Wellington College was to have a small number of students partner with us on our project with Harvard faculty on Growth Mindsets and Grit. A key point for us was what does this research actually look like in the classroom and and at the level of the student? Another goal was to have them help us in designing a survey by having them pilot test some of the more problematic questions so we could get as reliable data as possible. We asked the students to read some of the literature and research in these areas and then had a series of group discussion with them where we discovered a huge range of things that was really helpful in helping us understand Growth Mindsets from multiple perspectives. 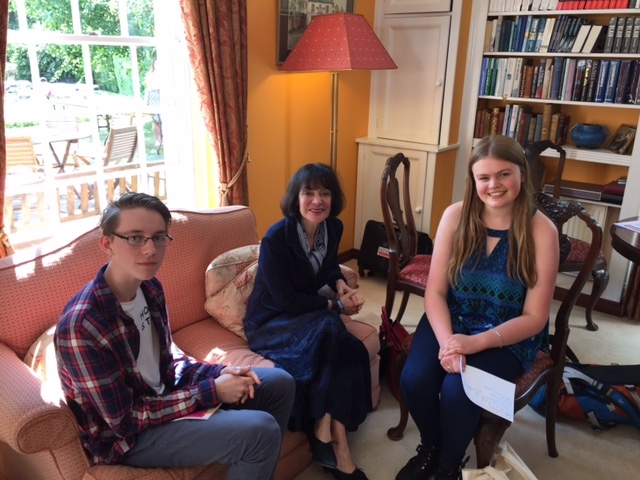 At the education Festival this week we were hugely fortunate to have Carol Dweck as a speaker so when I met with her I was really keen that our student research council interview her and put some of their own pressing questions about student motivation, assessment and Growth Mindset to her from their own perspective as students. She was incredibly generous with her time and was really eager to meet with them.